Donald Trump triggered a political firestorm on May 9 when he dismissed James Comey, who was heading an FBI probe into allegations of Russian meddling into the 2016 U.S. presidential election. 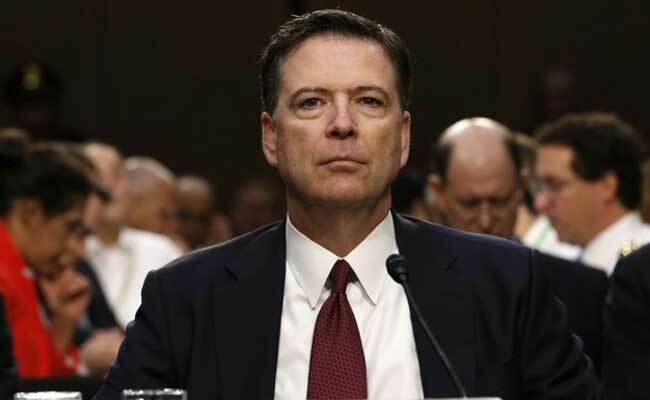 Washington: Former FBI Director James Comey on Thursday accused the Trump administration of defaming him and telling lies about the agency, but declined to offer his opinion on whether President Donald Trump sought to obstruct justice by asking him to drop an investigation into the former national security advisor. Comey told U.S. lawmakers at a hearing before a Senate panel he was confused by "the shifting explanations" given by the Trump administration for his firing on May 9. "Although the law required no reason at all to fire the FBI director, the administration then chose to defame me and more importantly the FBI by saying that the organization was in disarray, that the workforce had lost confidence in its leader," Comey said. "Those were lies, plain and simple, and I am so sorry that the FBI workforce had to hear them and that the American people were told that," Comey said. In written testimony released a day before the hearing, Comey said Trump had asked him to drop an FBI investigation of former national security adviser Michael Flynn as part of the probe. Comey said Trump told him at a meeting in the White House in February, "I hope you can see your way clear to letting this go, to letting Flynn go." "I don't think it's for me to say whether the conversation I had with the president was an effort to obstruct. I took it as a very disturbing thing, very concerning," Comey said. "But that's a conclusion I'm sure the special counsel will work towards to try and understand what the intention was there and whether that's an offense." "When I was appointed FBI director in 2013, I understood that I served at the pleasure of the president," Comey told the Senate Intelligence Committee in one of the most widely anticipated U.S. congressional hearing in years. "On May the ninth, when I learned that I was fired, for that reason, I immediately came home as a private citizen. But then the explanations, the shifting explanations confused me and increasingly concerned me," Comey said. The hearing could have significant repercussions for Trump's presidency as special counsel Robert Mueller and several congressional committees investigate alleged Russian efforts to influence the 2016 presidential election and whether Trump's campaign colluded with this. The issue has dogged Trump's first months in office, with critics saying that any efforts by him to hinder the FBI probe could amount to obstruction of justice. Comey will be making his first public appearance since Trump fired him.